The first woman is Nell (not her real name) – a middle aged, homeless woman who lives in Sumter, South Carolina. Nell suffered from domestic abuse for years until she finally moved out of her home and in with a friend. Her job at a nearby Salvation Army helped her to survive on her own . . . for a while. But when the Air Force shipped out Nell’s friend and the Salvation Army closed, Nell was left homeless and unemployed. The streets of Sumter became her home and handouts from anyone who had mercy on her were her sustenance. 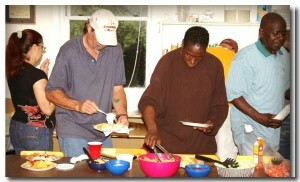 Eventually, Nell discovered the Samaritan House, a homeless shelter in Sumter. We do not know how often Nell went to the Samaritan House, but we do know that it provided her with a life-changing encounter. Alice is an active member of the First Church of God, Sumter, so she inquired what she might do around the church to fulfill her required community service. Alice accepted the assignment of making a video the church’s softball team. Although she had never created a video before, Alice discovered a new talent and soon became the official videographer for the church. Over the months, Alice completed 182 job applications and all the while nursed deep resentment over the events that led to her unemployment and her “required” service. As she tells the story, God used that time to soften her heart and show her that He had a better plan. At some point Alice learned that all the volunteer time she’d put in at the church would not satisfy her community service atonement – which only fueled her resentment. Nevertheless, Alice found appropriate service at the local Habitat Restore. When Alice completed her required service, she continued to volunteer at the Restore. First Church of God, Sumter, participated with a dozen other churches in the first Inasmuch United Sumter this past April. The church conducted 21 projects with a little more than half of their average Sunday attendance participating. The Inasmuch organizers asked Alice to visit all of the projects video their members serving that day. She went to 32 locations to interview and take videos of her fellow church members as they volunteered. Later that week, Alice called her friends at the Habitat Restore and asked if they had a job opening. They did and they hired Nell that day. The same day a medical facility in Sumter hired Alice. Two women: unemployed, mistreated, in need of mercy and grace, brought together by Inasmuch, and forever united in eternity. 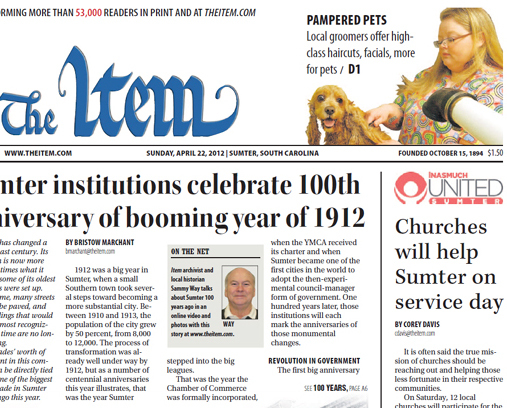 The Item, Sumter, SC’s local paper, published a SECOND nice article on May 1, 2012 about Inasmuch United Sumter which was conducted on April 28. It’s filled with great pictures from that event, like the one below. Read the article here (and see six more great pix! 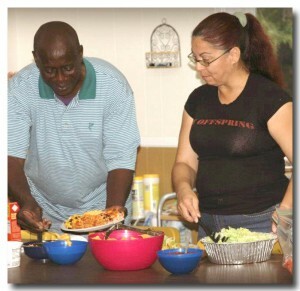 ): Inasmuch United Sumter – Helping those who need it most. 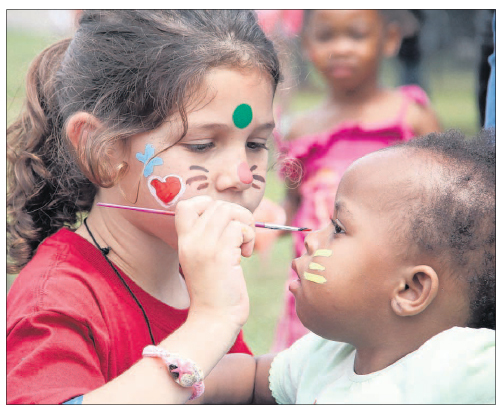 Children enjoy a block party held at Crosswell Park during Inasmuch United Sumter on Saturday. A similar event was held in the Cherryvale community as well. Operation Inasmuch arrives in Beaufort! Over one hundred community volunteers from the Baptist Church of Beaufort will roll up their sleeves and descend on Beaufort on Saturday, May 5 in Beaufort’s very own Operation Inasmuch event. The model for this missions challenge is driven by Operation Inasmuch, Inc., a national non-profit organization that helps churches break down barriers between the culture and the church. The large scale effort encourages churches to minister to those in need in their communities through hands-on, practical efforts such as construction projects, landscaping, painting, block parties and prayer walking. Over 1600 churches in 21 states have joined the revolution and have taken the challenge to go into their communities and spread the love with no strings attached. Look for smiling, happy, hardworking people in bright blue shirts all over town on Saturday, doing everything from giving out water at the park to building wheelchair ramps. • Building Wheel Chair Ramps – The BCOB veteran team will take on two projects. • Parkview Children’s Art Ministry Project – Helping the kids at Parkview create a picture collage to decorate the new community center. • Parkview Women’s Project – Helping organize a “Dress for Success” Clothing Project. • Habitat – The projected task for BCOB’s on-going “church build project” is subflooring, exterior framing and interior walls. • “Thank you” Cookie Basket Project for Emergency Personnel – Home-baked cookies taken to police officers, firefighters and EMT workers who keep us safe. • Cup of Cold Water Park Ministry – Face painting and giving out bottles of cold water in Pigeon Point Park from 10:00 a.m. – 12 noon. • Cleaning Project for Hope Haven – Helping provide a clean and inviting environment for the children served by this Children’s Advocacy Center. 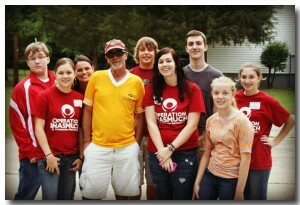 • HELP of Beaufort – Teaming to help sort and organize clothes and canned goods. • Parking Lot Fundraiser for Children’s Missions Camps – Teaming to monitor parking lots during Taste of Beaufort. Janet Carr Hull is the author of two poetry books published by Coastal Villages Press, and has been published in numerous literary journals nationwide. She is a native Beaufortonian. ODDS AND ENDS: Swing by St. John’s Lutheran Church on Saturday between 10 a.m. and 2 p.m. and leave the car’s dirt with Operation Inasmuch volunteers, including folks from Trinity Methodist in Converse Heights. These volunteers will wash vehicles for free and even check the hoses under the hood and make sure your fluid levels are where they should be. It’s a no-strings-attached event, but while you’re there, consider rolling up those sleeves and giving blood. The Bloodmobile will be there for donors starting at 9 a.m. The church is at 415 S. Pine St. The organizers of the Spartanburg Inasmuch event tell us that at least two people read this article and came by to offer blood! Pictures of the event are posted on Facebook here. 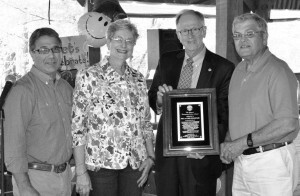 The Item, Sumter, SC’s local paper, published a nice article on April 2, 2012 about the upcoming www.cgfp.org/buy-clomid-online/ Inasmuch United Sumter.